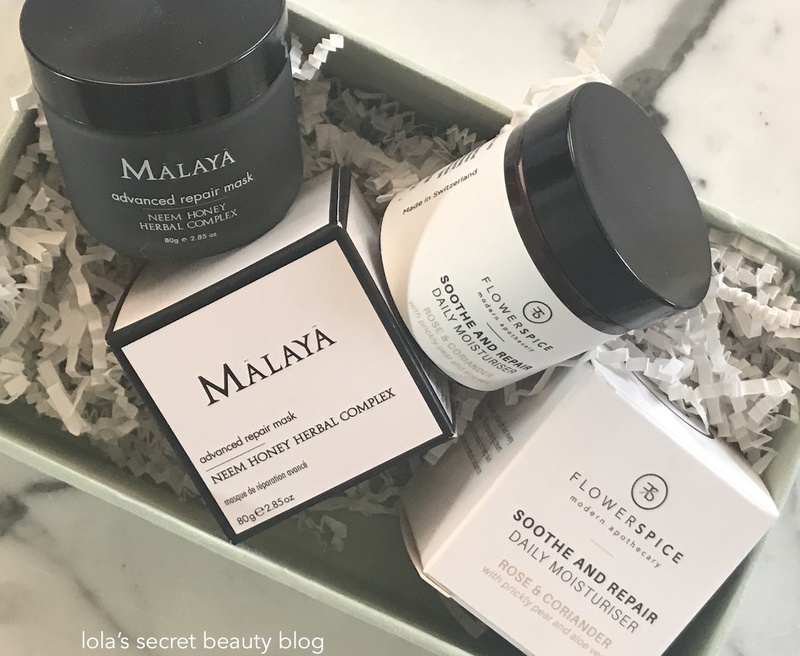 Boxwalla enthusiasts know that Boxwalla's green beauty boxes are an extraordinary value, and that the products themselves are nothing short of spectacular. 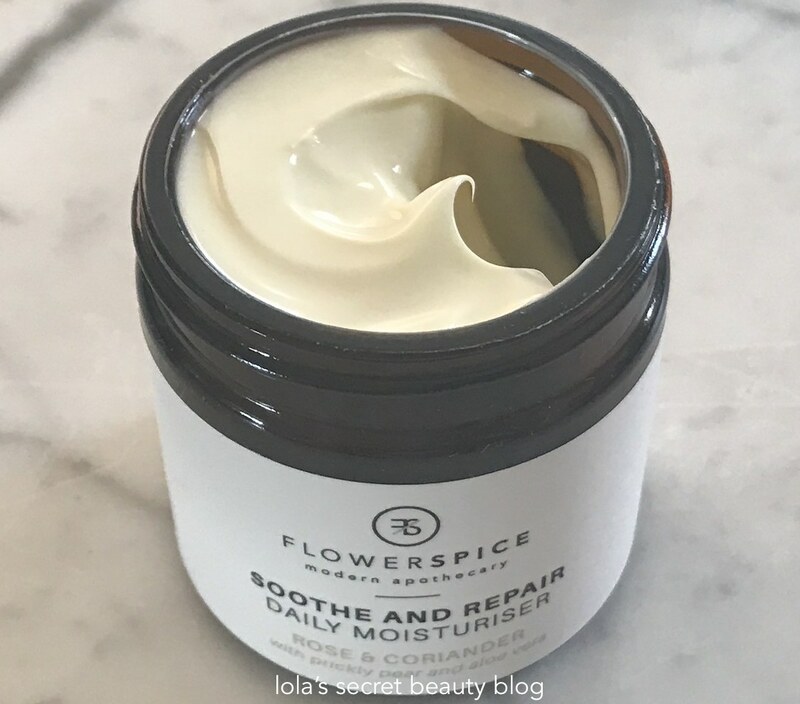 Their carefully curated beauty boxes are a tremendous value, with steep discounts, and they feature truly covet-worthy luxury organic beauty products. 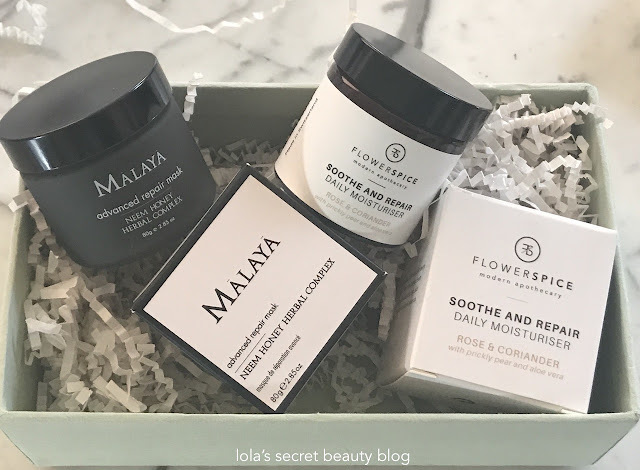 Their April Beauty Box, Letters to Winter from Spring, which only costs $49.95, is another must-have, and it features two full-size products from Malaya Organics and Flowerspice Modern Apothecary. *THIS IS A SUBSCRIPTION* You will be charged intially when you purchase. Automatic renewal every two months until you cancel. The last day to subscribe to the April Beauty Box is April 10th. Malaya Organics Advanced Repair Mask Neem Honey Herbal Complex ($78.00 value): This luxurious mask is crafted from 25 ultra-potent and high quality ingredients that repair the skin, draw out impurities and exfoliate dead skin cells. Formulated with effective detoxifying clays, in conjunction with a beautifully edited selection of nine reparative herbs, this mask does an enviable job eliminating impurities and soothing stressed skin. The end result is soft and even skin with a luminous glow. I was rather shocked by the extent to which it cleared congested pores, eliminated dead skin cells and left my skin with such a pronounced luminosity. Furthermore, it is very gentle and non-stripping, and it does not irritate my sometimes sensitive skin. It has a wonderful natural herbal aroma that is comforting and calming for the mind and the senses. I tend to leave it on my skin for 20-30 minutes, or after it dries down, and then I lightly massage it with warm water and let the small exfoliating particles remove all of the debris and dead skin cells. I should note that when it does dry, it does not feel tight to the extent that clay masks tend to. 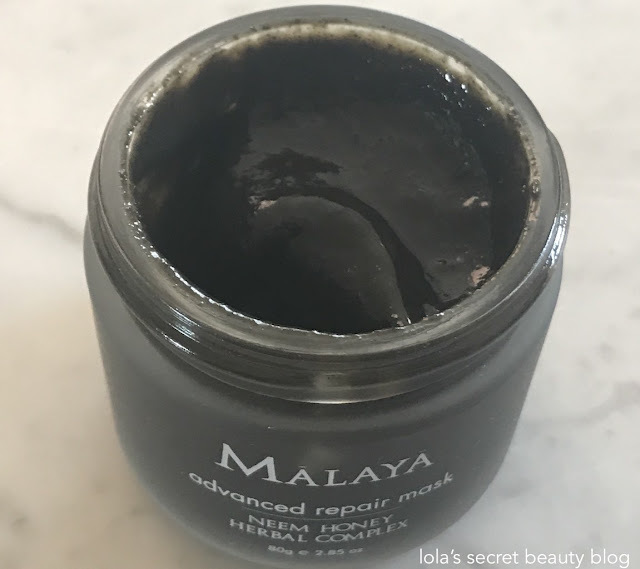 Crafted with 25 potent, skin repairing ingredients, this lush & decadent mask took Katya Slepak, the founder & formulator, nearly three years to formulate. Each ingredient that Katya selects is chosen not just for its individual potency but also for how it works synergistically together with other ingredients to enhance the overall efficacy of the formulation. Katya combines the detoxifying prowess of black kaolin clay with sustainably sourced raw Wild Bee Neem Flower Honey, along with healing botanicals like Plantain Leaf, Nettle Leaf, Chamomile, Lavender, Calendula, Black Currant, Echinacea, Horsetail and Yarrow that grow abundantly in Russia where Katya is from. She learned to use these healing botanicals like Plantain leaf from her grandmother & mother back in Russia where she grew up. She recalls , "My mother taught me to use this plant whenever I would fall and scrape my skin. I would rip off a plantain leaf, clean and crush it a bit to bruise it so that the plant juices would surface, spit on the crushed leaf to create a sort of poultice and put it directly on the wound (I know the spitting part is a bit gross but it works :). This poultice would staunch the bleeding and very quickly heal the wound by triggering the synthesis of new skin cells". Gilding these healing botanicals that are used in folk medicine in Russia, are soothing Blue Tansy, powdered Neem leaves, anti-bacterial Colloidal Silver and highly antioxidant Broccoli seed oil that promotes ceramide synthesis. This decadent mask leaves the skin so refreshed, bright & glowy, smooth & clear. We wanted to tell you a little bit about the Neem Honey used in this mask. Neem Honey is collected from wild bees that pollinate neem flowers. This particular neem honey is sustainably sourced from a forest in India. The organization through whom Katya sources this honey, works to protect the natural habitat of the bees. Says Katya, "Honey’s overall superior healing properties are rooted in Pinocembrin flavanon, a compound with a vast range of pharmacological activities that have been well studied and researched, including - antimicrobial, anti-inflammatory & antioxidant". Neem honey, specifically, she says, is in a category of its own among healing honey nectars as it is imbued with the healing pollen of the neem plant. Neem is considered one of the most healing medicinal herbs in Ayurvedic medicine & is used for a range of ailments including eczema, acne, ulcers, wounds & more. Says Katya, 'To harness the full power of Neem’s healing properties we blend the highly antibacterial Raw Neem Flower Honey with powdered Neem leaves - one of the 9 herbs in our proprietary reparative herbal complex'. Directions: Always use a clean, dry utensil to scoop mask out of jar. Apply evenly on moist clean skin, avoiding lip and eye area. Leave on for 15-20 minutes, and rinse off with warm water. Use 1-2 times per week or as desired. For supremely hydrated and radiant skin, follow with Malaya Refresh & Renew Hydrating Mist and Rejuvenating Face Serum. 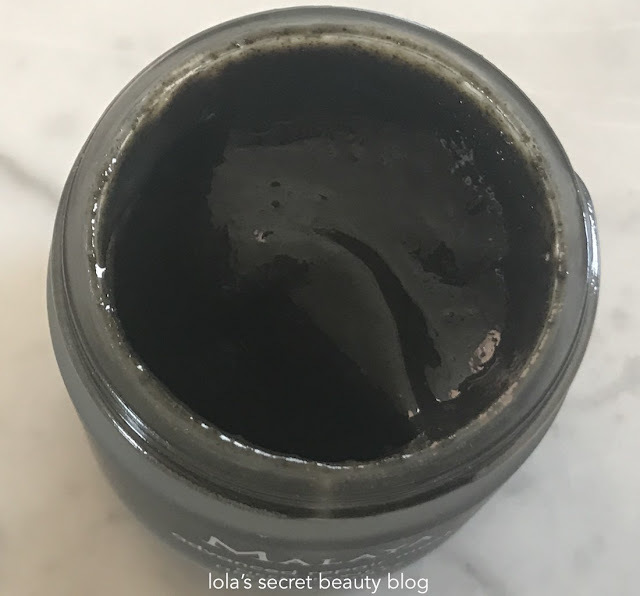 Ingredients: Mel (Raw Neem Flower Honey)*𝛁+, Lavandula angustifolia Hydrolat*, Sodium Bentonite Clay, Vegetable Glycerin*, Aloe Vera Gel*, Black Kaolin Clay, Leuconostoc Ferment Filtrate (and) Lactobacillus Ferment, Argentum metalicum (Colloidal Silver), Calendula officinalis Hydrolat*, Viola tricolor (Violet) Leaf Hydrolat*, Ribes nigrum (Black Currant) Fruit Extract, Brassica Oleracea var. Italica. (Broccoli) Seed Oil, Plantago major (Plantain) Leaf*, Urtica dioica (Nettle) Leaf*, Medicago sativa (Alfalfa) Leaf & Sprouts*, Matricaria chamomilla Flower*, Lavandula angustifolia Flower*, Equisetum arvense (Horsetail)*, Achillea millefolium (Yarrow) Leaf & Flower*, Azadirachta indica (Neem) Leaf*, Echinacea purpurea Root*, Mixed Tocopherols (Vitamin E) GMO-Free, Rosmarinus officinalis Leaf Extract*, Tanacetum annuum (Blue Tansy) Oil^, Thymus vulgaris (Red Thyme) Oil*, Cymbopogon flexuosus (Lemongrass) Oil*, Lavandula angustifolia Oil*, citral°, citronellol°, gereniol°, limonene°, linalool°. *Ingredients From Organic Farming. ^Wildcrafted. 𝛁Fair Trade. +Sustainably Harvested. °From Essential Oils. 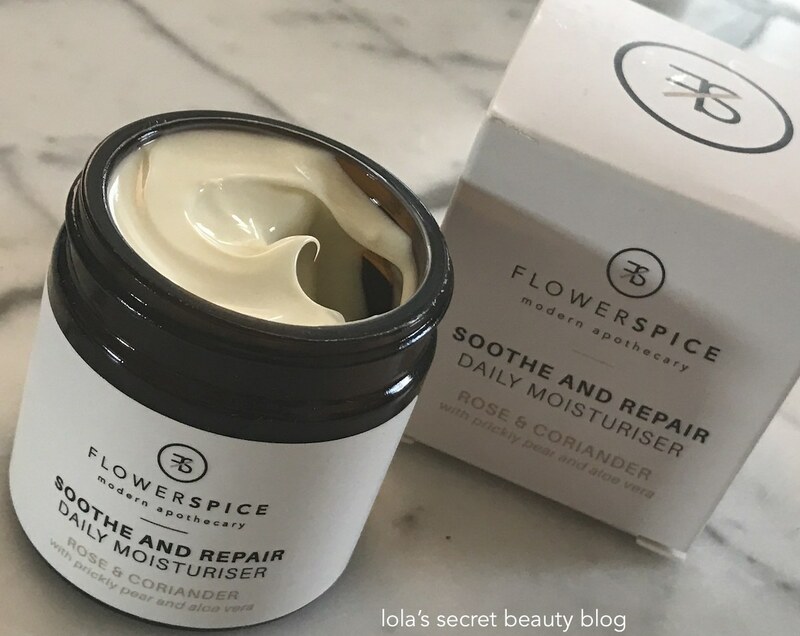 Flowerspice Modern Apothecary Soothe and Repair Daily Moisturiser Rose & Coriander with Prickly Pear and Aloe Vera ($82.00 value): This ultra-creamy moisturizer is rich, and yet luxuriously light and fast absorbing– it melts into the skin immediately, and it leaves behind no greasy residue whatsoever. It leaves skin remarkably soft, supple, lightly plumped, hydrated and luminous. It has a wonderful scent that is informed by the Rose and Coriander– thus it has a lightly spicy floral aroma that is utterly beautiful. This is a creamy moisturizer, crafted by Slovenian native Karmen Novak who combines both hydric and lipid components into one luscious formulation, providing the skin with both hydration & emollience. The hydrating components include Rose Water & soothing Aloe that both hydrate the skin & calm inflammation. Prickly Pear seed oil, rich in antioxidants & Vitamin E combats environmental stressors & encourages cellular renewal. Prickly pear seed oil has a myriad of benefits. It is rich in polyunsaturated essential fatty acids including linoleic acid (Omega-6). Says Karmen, 'Linoleic acid works under the skin’s surface, playing a critical role in the reconstruction of lipids and healthy cell turnover'. 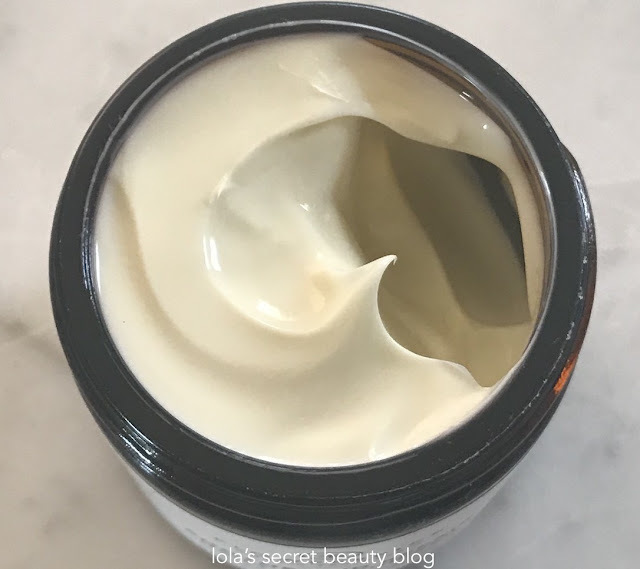 The proof is in the pudding and this wonderful face pudding is deeply moisturizing with a smooth non-greasy finish, delivering plump, supple, glowing skin. Rose Absolute, harvested from the regal flower only when it opens to full bloom, captivates your mind as it lulls your skin into a state of serenity. I love the title of this month’s box. The Flowerspice sounds great! I do too, Allison! The Flowerspice is INCREDIBLE! As usual these sound wonderful and a comparative value. The products are very high end. They really are an amazing value for extraordinary products! They are always ultra-luxe! It really is, and Boxwalla really knows how to do an ultra-luxe box at such a reasonable price. 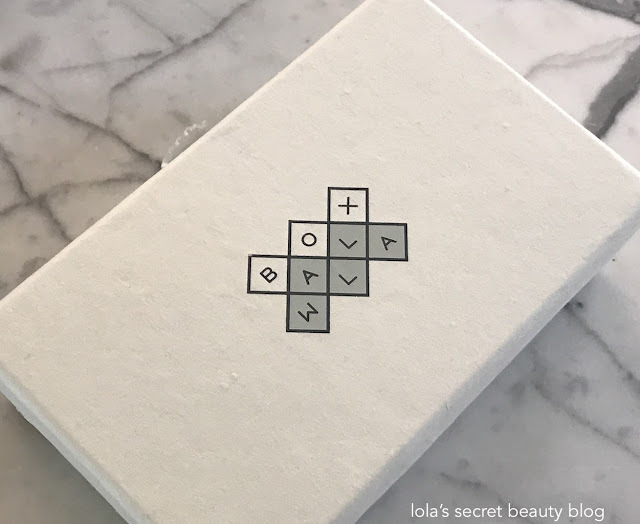 Their luxe green beauty boxes only ever feature cruelty-free brands and products, but they aren't always vegan. As you see this mask contains honey, but they do often feature vegan products.